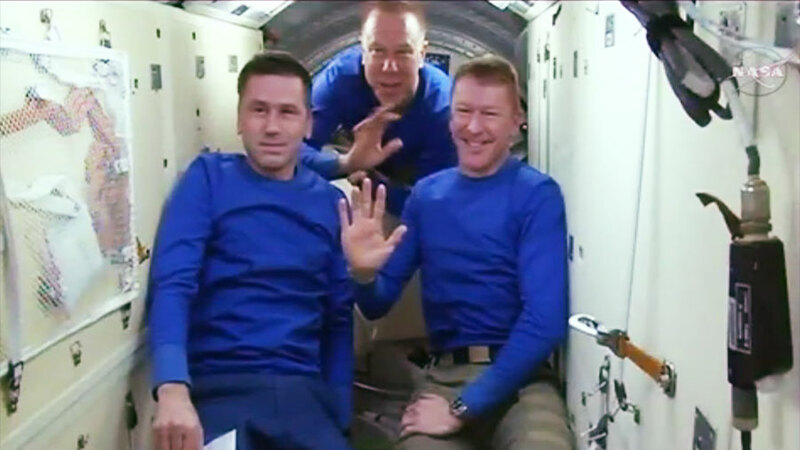 At 10:34 p.m. EDT, the Soyuz hatch closed between the International Space Station and the TMA-19M spacecraft. Expedition 47 crew members Tim Kopra of NASA, Tim Peake of ESA (European Space Agency) and Yuri Malenchenko of Roscosmos are preparing to undock at 1:52 a.m. NASA Television will air live coverage of undocking beginning at 1:30 a.m. The deorbit burn is targeted for 4:22 a.m. and will lead to a landing at about 5:14 a.m. southeast of Dzhezkazgan in Kazakhstan. NASA TV coverage of deorbit and landing begins at 4 a.m. Watch live at https://www.nasa.gov/nasatv.